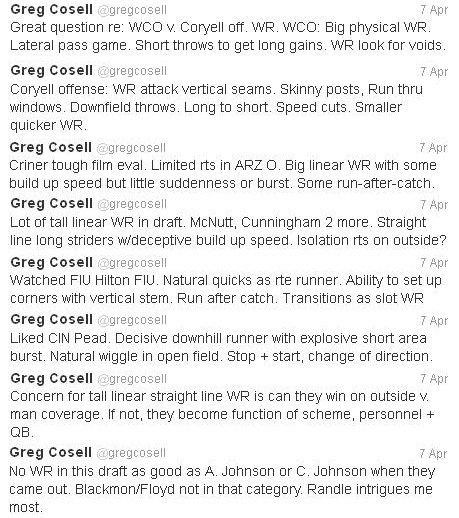 Over the weekend, Greg Cosell tweeted about wide receivers entering the NFL Draft. In case you missed it, here are some of those tweets. 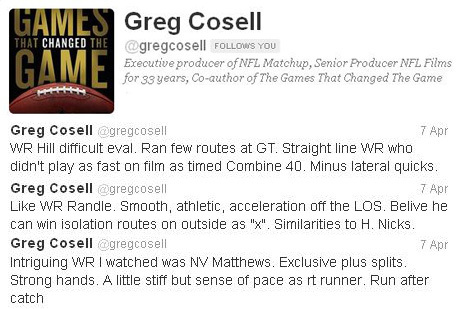 For more thoughts by Greg Cosell, follow him on Twitter.